The Conference “Planning Hydrogeological Systems” will take place at the NOI Techpark in Bolzano on November 23rd. The event is organized by Italiasicura, the Italian Ministry of Environment, the Civil Protection Agency and the Office for Geology and Building Materials of the Province of Bolzano, Ecosystem Alpine Safety of IDM Südtirol – Alto Adige, with the patronage of the Free University of Bozen-Bolzano. The conference addresses professionals and technicians working for the Public Administration. It will include 21 seminars on the “Guidelines for planning and designing actions for the prevention of hydrogeological risks”. The conference also includes contributions from experts of the field, who will demonstrate the excellent levels achieved in South Tyrol in terms of hydrogeological risk reduction. 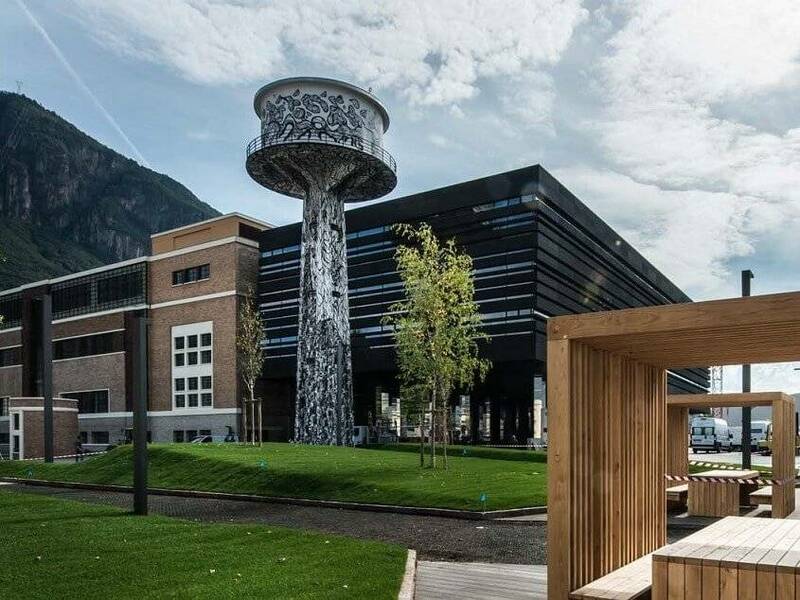 Among the speakers, there will be also Francesco Ferraiolo, Managing Director of the Maccaferri Innovation Center (MIC), our R&D centre in Bolzano, which recently relocated exactly at the new NOI Techpark. During his speech, “Sustainable hydrogeological risk management: technological and innovative approaches for reduced maintenance and environmental quality recovery”, Francesco Ferraiolo will present two of our ongoing research projects of high environmental value. The first project concerns the development of a new solution against debris flows. Debris flows are highly mobile liquefied landslides, generally resulting from heavy rainfall. These can contain a variety of material from fine particles to large boulders and tree branches. Left unchecked, debris flows can damage or disrupt residential areas and infrastructure, or block watercourses, leading to significant destruction. Our structures for the mitigation of debris flows are positioned transversally within the anticipated path of the debris flow or shallow landslide, often in natural gullies, channels or chutes on the slope. These containment systems consist of ring nets of different diameters, energy dissipators, steel cables and wire meshes and are able to dissipate the energy of the debris flow. “In association with the Province of Bolzano and the universities of Bolzano and Trento, at our research centre, we are pursuing the development of an innovative mitigation system against debris flows, aiming to reduce maintenance”, explained Mr. Ferraiolo. He added: “After each landslide event, these structures need to be emptied and restored. This has a significant cost, as operations are conducted in challenging conditions, in remote hard-to-reach areas. For this reason, in our prototyping centre of Bolzano we are developing a more efficient and cost-effective system, which does not retain all the material but only the dangerous part. It can therefore be considered a self-cleaning system”. The second project to be presented is Wequal. It concerns the creation of a Web tool to evaluate possible design alternatives for the hydraulic management, with a particular attention to environmental quality. The project is conducted in cooperation with the University of Bolzano, MAVTech s.r.l. and NaturStudio Soc. Coop. New teleoperated monitoring technologies are integrated with environmental engineering and territorial planning techniques. “Our objective is to develop Green Infrastructures”, commented Mr. Ferraiolo, “not simply hydraulic works but environmental protection works. The use of innovative technologies allows an easy and immediate survey of the field environment under analysis. The data collected allow an estimation of both current state and hydraulic management design alternatives, so that we can opt for the solution with the greater ecological value”. The conference will start at 8:30 AM in the Sala Seminario 1 of the NOI Techpark, n. 13 via A. Volta, Bolzano. Don’t miss Francesco Ferraiolo’s speech at 14:50 PM! For further information on our R&D projects, please contact us!